So if you have not got on the video marketing bandwagon, it would serve you well to start now. However, this post is not about whether you will have to get into video marketing or not. I think we have already established that you DEFINITELY should. This piece is about how can you manage to get traction on a video platform like YouTube, where there are more than 400 hours of content being uploaded every minute. You need to stand out on YouTube or you disappear into oblivion. You can go ahead and pay for your video ads to appear on the top of the results page but it is not a very financially sustainable strategy. There are a few basic practices that you can implement on your videos today that can help you rank well on YouTube. YouTube can index your description. Think of this along with the lines of how you do SEO for your blog posts. As mentioned earlier make sure to add relevant LSI keywords to your description. Some YouTube content creators go even as far as adding their video transcripts to their description which can give them a good ranking boost. Adding a transcript enables YouTube to understand what your video is about and hence it will able to better its results to people. There are third-party companies that can transcribe your content for a very nominal cost. Just like Google Suggest for keywords and use YT Suggested keywords in your Title and Description. The one with the most number of searches can be used in the title and other contextual keywords (aka LSI keywords) can be used as a part of your description. Also with the tags, try to include 4-5 LSI keywords that you have used in the description and also add your prime keyword as one of the tags. If your thumbnail is not something that makes people want to click on your video, then your video is useless even if it somehow miraculously ranks at number one on the results page. Design a professional looking thumbnail or hire someone to do it for you. Either way, invest in the design of your thumbnail if you really want to see value out of your video marketing efforts. Also, since a good thumbnail improves your CTR, it is quite obvious that YouTube uses this as a positive signal indicating that the user thinks that your video might be useful to his needs. Hence, a boost in your ranking. Subscribers, comments, shares and likes matter! The best way YouTube can truly assess the quality and the usefulness of your campaign is through user engagement on your video. Request them to share the video with their circle. Entice them to give their thoughts on the video in the comments. Make it a point to attend to all the above mentioned CTA in all your videos and you will be amazed at how people respond to suggestions like these. It is very important that you have a completed profile with a great looking cover image, an introductory video and a channel description. People play close attention to the channels they subscribe to and you would essentially reduce their hesitancy by looking legit with a complete profile. Use high-quality images and keep your introductory video short and simple. Introductory videos are usually set to autoplay on desktops, so make sure you make you pay special attention to the first 5 seconds of your video. What is the point of having the data without not putting them into action? YouTube analytics gives you data on drop-offs, retention etc. You can use this to identify parts of your video where you see people are not interested in and identify ways to make it better or worst-case scenario, remove that section. Keep your editing scissors on all the time. Do not be afraid to chop things off if they have unfavorable data. YouTube gives massive weightage to the amount of time a user spends on your video and making it crisp and lean will help your SEO immensely. This was our 2 cents on the matter. This post is based on a considerable amount of practical and acquired knowledge on the subject. If you feel we have missed something out, feel free to let us know in the comments below. 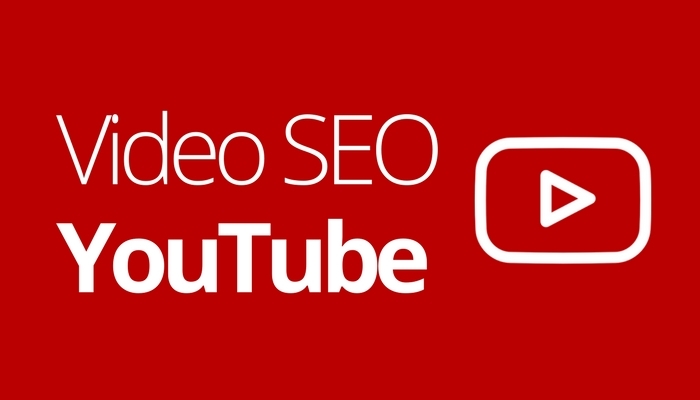 How are you going to better your YouTube SEO strategy? Best tips for beginners as video marketing is one of the best way to promote the brand.